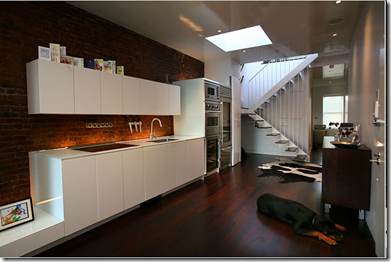 You are currently browsing the Short and Long Of Home Renovation blog archives for January, 2009. Here are 7 of the most common mistakes people make when renovating their home. This entry was posted on Friday, January 30th, 2009 at 9:43 pm	and is filed under Mistakes. You can follow any responses to this entry through the RSS 2.0 feed. You can leave a response, or trackback from your own site. I’ve found a website that talks about floors. It gives good information on different types of flooring such as hardwood, cork, ceramic tile and vinyl. This entry was posted on Tuesday, January 27th, 2009 at 9:24 pm	and is filed under Flooring. You can follow any responses to this entry through the RSS 2.0 feed. You can leave a response, or trackback from your own site. This entry was posted on Saturday, January 24th, 2009 at 10:09 pm	and is filed under Countertops. You can follow any responses to this entry through the RSS 2.0 feed. You can leave a response, or trackback from your own site. If you’re thinking of installing concrete countertops in your home, here’s a great video that goes through the steps. This entry was posted on Friday, January 23rd, 2009 at 1:00 pm	and is filed under Countertops. You can follow any responses to this entry through the RSS 2.0 feed. You can leave a response, or trackback from your own site. 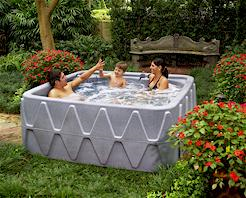 It’s true, it’s a luxury… But if you can swing it, there’s nothing like a hot tub! 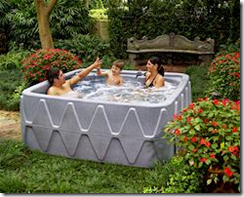 The Spa Depot offers a complete selection of everything you’ll ever need for the care and maintenance of hot tubs. It includes an informative feature called ‘Ask Dr. Tubbs’ where you can find answers to questions like How To Wire A Hot Tub. This entry was posted on Thursday, January 22nd, 2009 at 2:48 pm	and is filed under Pools and Hot Tubs. You can follow any responses to this entry through the RSS 2.0 feed. You can leave a response, or trackback from your own site.